A new memorial in the Northwest neighborhood of Cedar Rapids recognizing the impacts of the 2008 floods. Cedar Rapids City Manager Jeff Pomeranz helps dedicate the memorial. 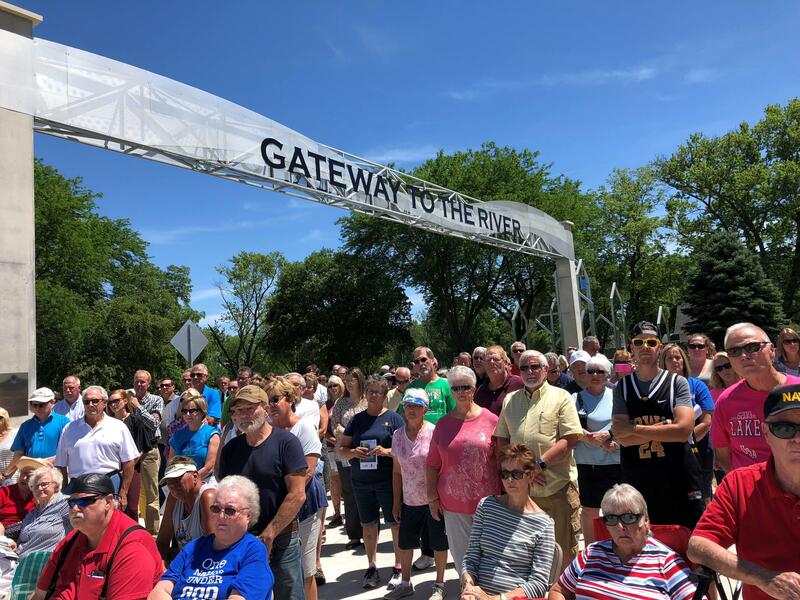 Cedar Rapids residents at a dedication ceremony for a memorial recognizing the impacts of the 2008 floods. Ajai Dittmar and Bethany Steichen still live in the Northwest neighborhood after many of their neighbors left. They say their respective houses are the only ones remaining on the block. 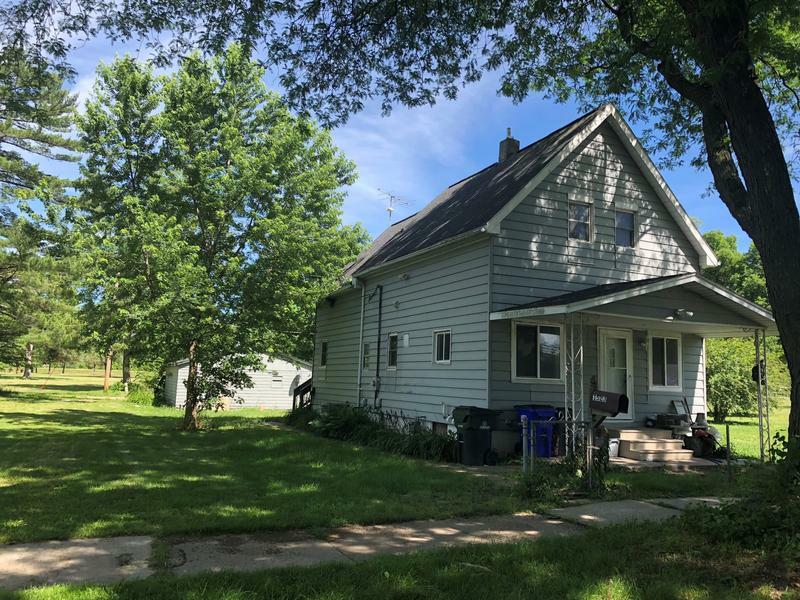 The last remaining house on the 1500 block of 5th Street NW in Cedar Rapids. 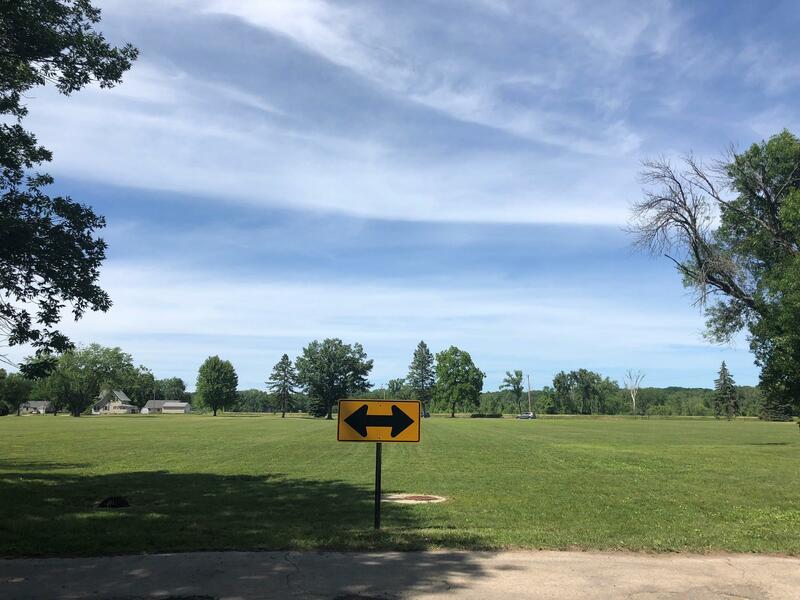 Dozens of homes were demolished in the Northwest neighborhood of Cedar Rapids, leaving behind open grassy fields dotted with trees and a handful of remaining houses. Wednesday marked 10 years since the Cedar River overflowed its banks and crested in the city of Cedar Rapids at a record 31.12 feet. 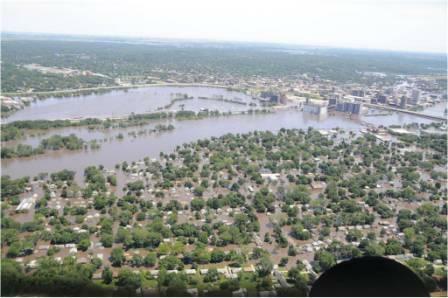 The historic floods of 2008 displaced an estimated 10,000 city residents, submerged more than 1100 city blocks caused more than $2 billion worth of damage. 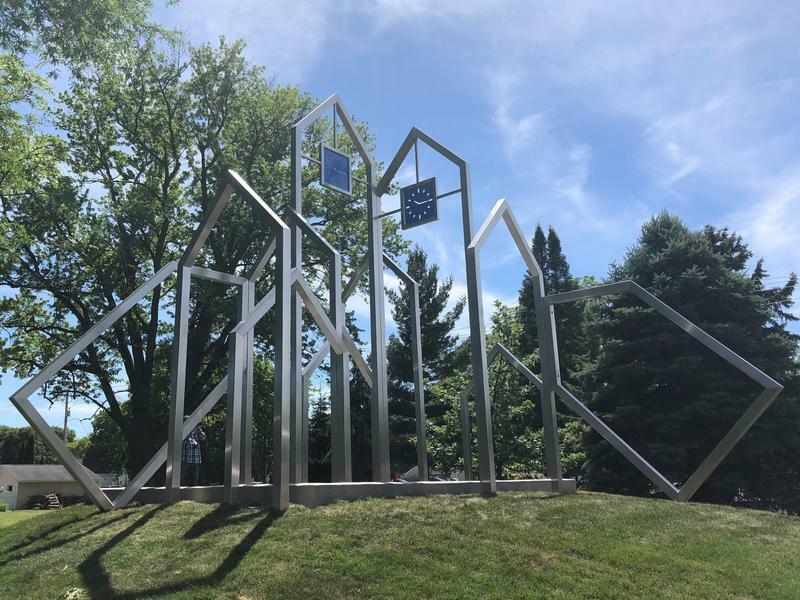 In Cedar Rapids' Northwest neighborhood a decorative concrete wall and metal sculpture rise above open grassy fields dotted with trees. Ten years ago there were dozens of homes in this part of the city, but the flood of 2008 changed that. There are a handful of homes left, some the only remaining buildings on the block. A metal plaque shows the high water mark of 31.12 feet where the floodwaters peaked. On Wednesday afternoon, residents, current and former city officials and state lawakers gathered to dedicate the memorial and recognize the loss and the resilience of the community. “We have not forgotten the homes and the belongings that were destroyed in the water. We have not forgotten the family-owned businesses and the livelihoods that were disrupted by this flood. We are standing here today as a community together,” said City Manager Jeff Pomeranz. But not everyone in attendance was there to celebrate. Bethany Steichen was a sophmore in high school when the flood struck. She still lives in the Northwest's Time Check neighborhood, in what she said is the only house left standing on her block. "I just watched house after house being torn down and knowing how old those houses are it's really hard to watch," Steichen said, fighting back tears. "You can just look around and all it is is trees anymore." 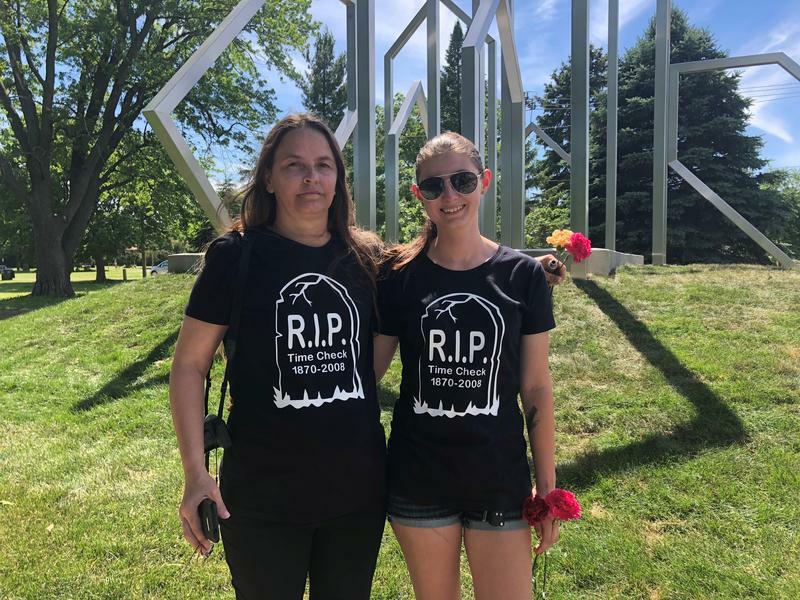 She said the memorial won't restore her neighborhood back to how it was before the flood, and said she'd rather those resources be spent on fixing sidewalks or other city infrastructure. "We don't need a reminder! All we have to do is look out our windows and see there's no houses anymore," Steichen said. City officials said the memorial was entirely funded by private donors. In the wake of the floods, the city purchased more than 1,300 residential and commercial properties. Local governments, community groups and developers reinvested in the city's infrastructure, restoring many damaged buidlings and working to revitalize neighborhoods like NewBo and the Czech Village. But the city is still looking for federal support to build its permanent flood management system. 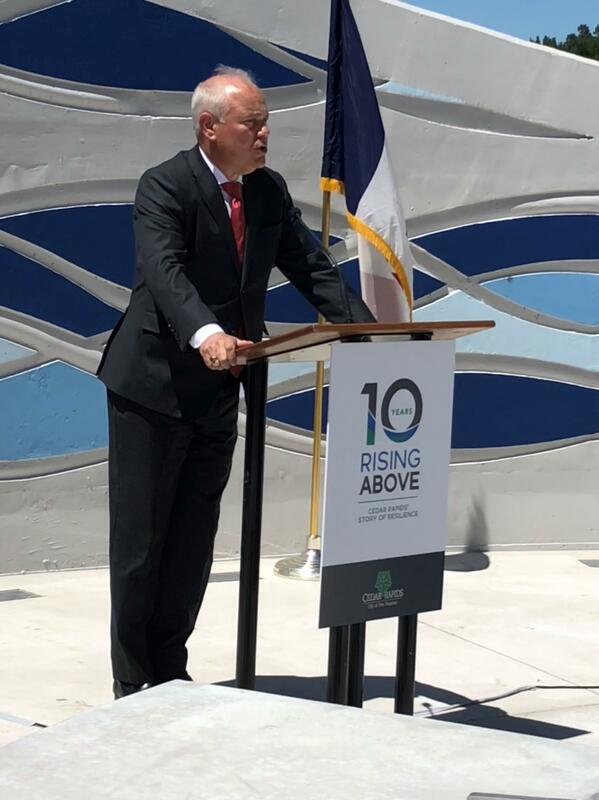 Cedar Rapids Mayor Brad Hart told residents Wednesday he’ll keep pushing for federal funding. 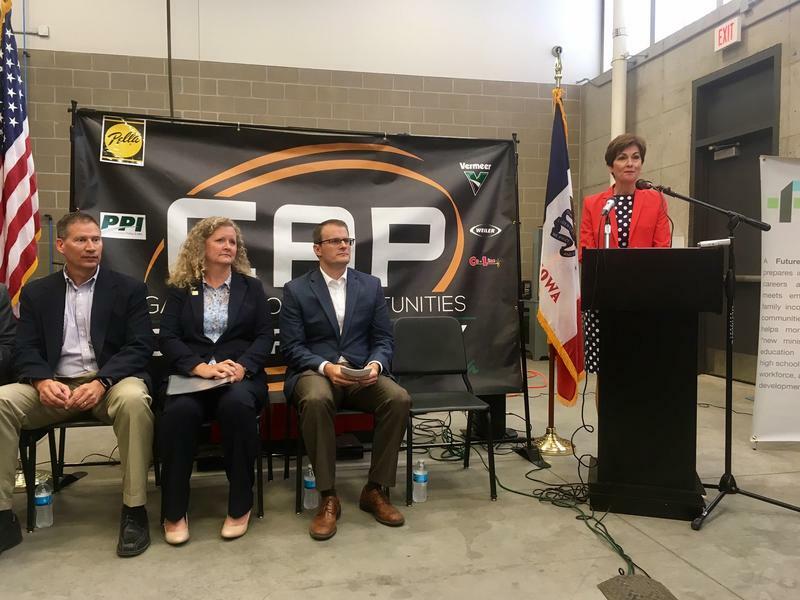 For years the city of Cedar Rapids has been lobbying for federal support for the $375 million it needs to build a permanent flood management system, consisting of a 7.5 mile long network of floodwalls, levees and greenways. 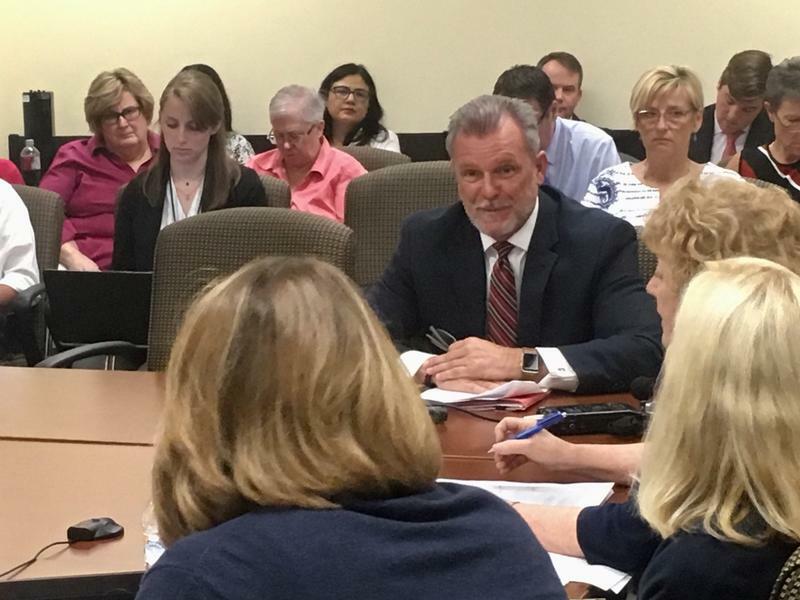 Federal officials have said the funding is held up because the city's plan doesn't have a high enough return on investment, based on the cost of protecting properties compared to their overall values. But Major General Richard Kaiser of the Army Corps of Engineers said Wednesday he's optimistic about the city's chances. 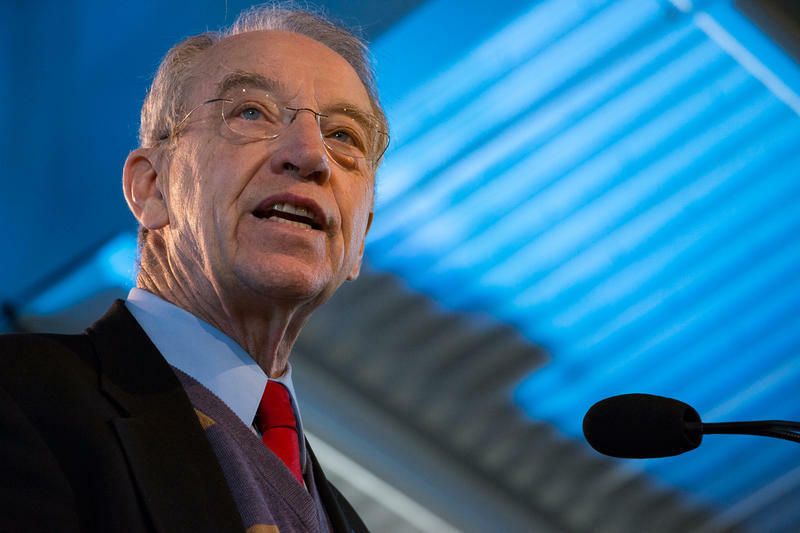 "There's a lot of congressional interest in this project. And again I would say it's the best position it's been in for funding," Kaiser said. "We're very hopeful it'll see funding." 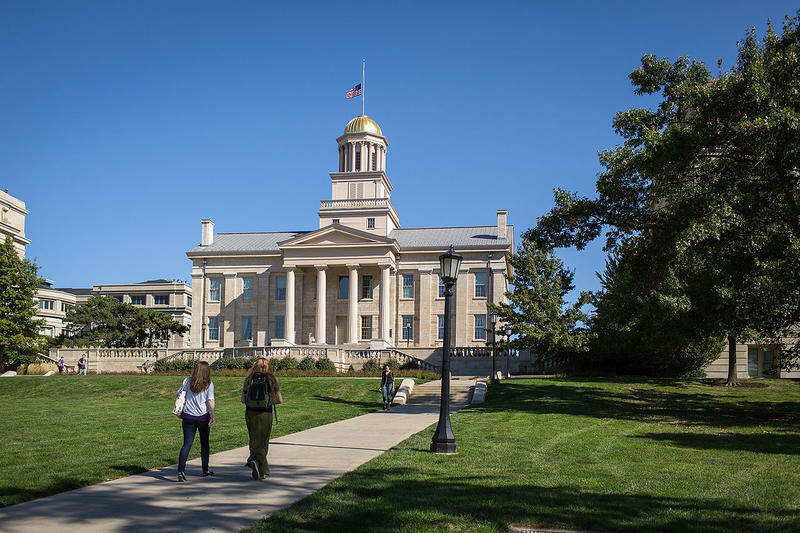 The University of Iowa is looking into reports of sexual misconduct after dozens of women turned to Twitter to post allegations of harassment by a single student. For years Cedar Rapids officials have been lobbying for federal funding to build a flood control system. But one local official says it may be time to again ask taxpayers for their support.